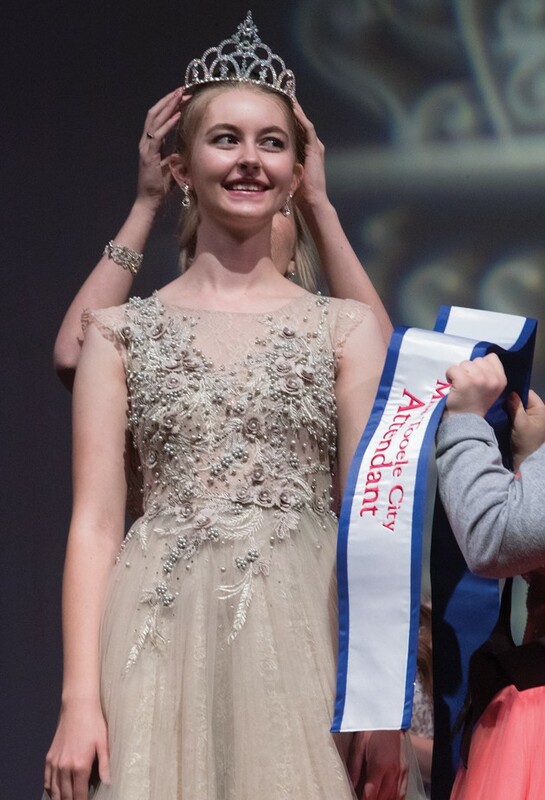 Marin Legge is crowned Miss Tooele City 2018 at Saturday night’s scholarship pageant at Tooele High School. Miss Tooele City 2017 Kat Hawley (back) and 2017 co-attendant Ayanna Likens (right) crowned Gebs. 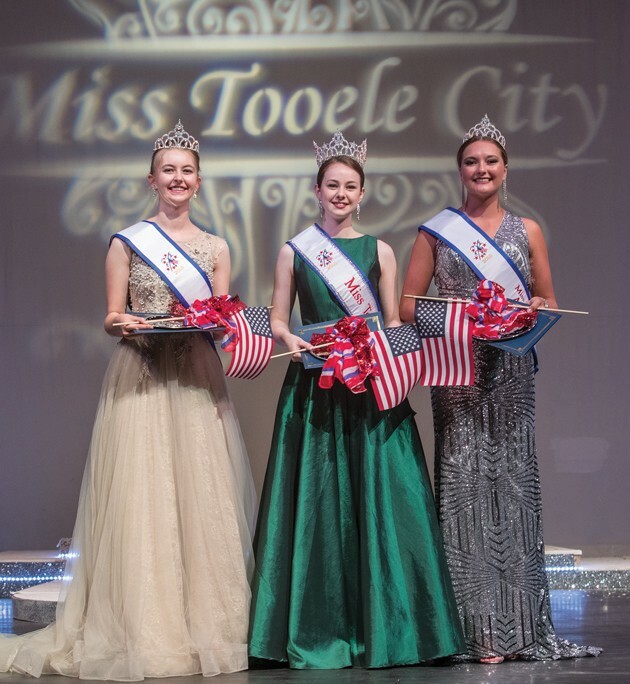 Miss Tooele City Marin Legge is joined by her co-attendants Lily Gebs (left) and Sadee Simmons. Simmons reacts when she is crowned by Likens and Hawk. Gebs holds still while she’s crowned by Likens. Miss Tooele City contestants Lily Gebs, Mariana Sablan, Marin Legge, Angela Moore, Indianna Shosted, Katelyn Bush, Sadee Simmons, Cassidy Evans and Kailee Russell take the stage after the evening wear competition to find out the results of the 2018 pageant. 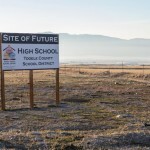 The auditorium stage at Tooele High School was the venue Saturday night for the 2018 Miss Tooele City Scholarship Pageant. 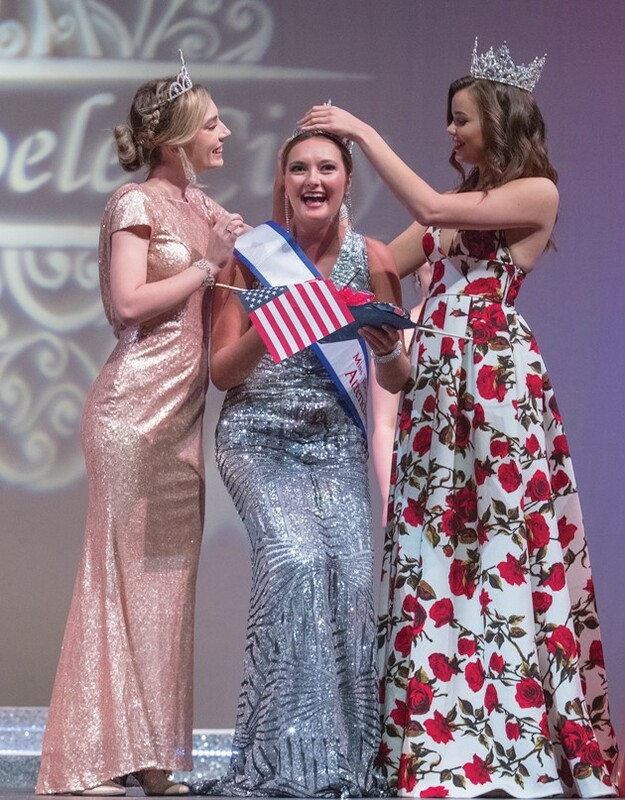 Nine local women competed for the honors, with Marin Legge crowned Miss Tooele City 2018, and Sadee Simmons and Lily Gebs selected as co-attendants. Responsibilities for Miss Tooele City and her co-attendants include: Being a positive and professional representative for the city throughout the year and promoting the city as a great place to live, work and play; a role model for local youth; exhibiting patriotism and being ambassadors during the city’s Fourth of July celebration. The scholarships are $2,000 for Miss Tooele City and $1,000 for each co-attendant. 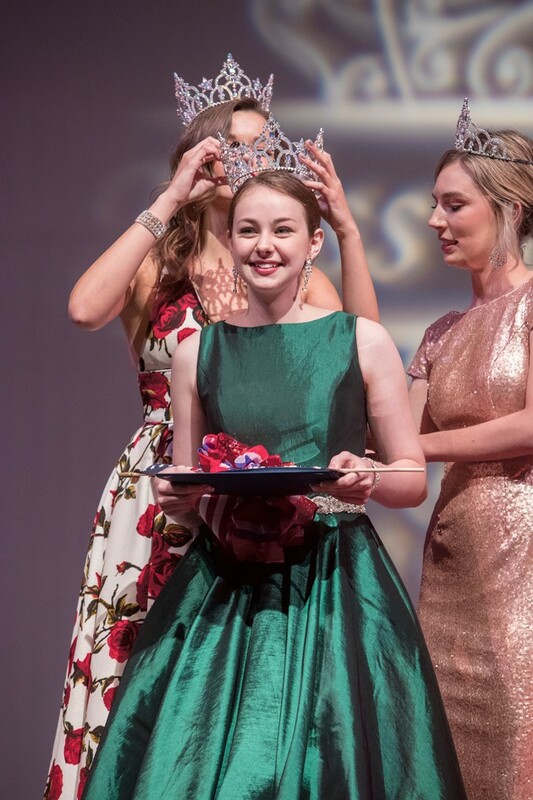 Scholarships are to be used to defray expenses related to academic advancement, and are paid to royalty after the Miss Tooele City Scholarship Pageant the following year.